Did you know that table tennis is the most popular indoor sport in the world? It is played at the Olympic Games, as well as the Paralympic Games and in 2016, the Rio table tennis events had more than 552.3 million viewers. As you can see, table tennis isn’t just a passing fad! What you may not realise is that while table tennis is fun to watch and play, there are some areas of the game that people aren’t quite as aware of. This includes how to clean a ping pong paddle. If you are interested in how to care for your bat – the right way – then keep reading. We’ll provide you with some helpful tips and insight here. This is the most affordable way for you to clean your paddle. You can use warm water and a normal kitchen sponge. Get the sponge damp and gently wipe off the surface of the rubber until the dirt and other debris are removed. Avoid vigorously scrubbing the rubber. If there is an accumulation of dirt and oil, then allow the moisture off of your sponge to soak it off, and then wipe it away. Repeat this process until the rubber starts to feel tacky/sticky again. Once clean, leave the paddle to air dry. If you use a pimpled rubber, then an extremely effective way to get into the crevices is by using a toothbrush. You can use water to dampen the brush or a specialised rubber cleaning solution. The toothbrush is going to get into the tiny pimples, effectively removing any debris that have collected, providing you with a tackier surface. If you don’t have a case for your paddle yet, you should purchase one. The main purpose of a case is to help keep your rubbers free from any dirt and to offer protection for the paddle when you aren’t playing. Remember, the rubbers on your paddles are easy to scratch. If you don’t keep the paddle protected and covered, then the likelihood of your rubbers being damaged is higher. What to Avoid When Cleaning Your Paddle? There are some people who try to use small amounts of detergent when cleaning their paddle. This isn’t highly recommended. The ingredients found in traditional cleaners are both abrasive and harsh They can dry out the rubber making it much more brittle. Over time, this is going to shorten the lifespan of your rubber, making you replace it sooner. Also, avoid any products that contain bleach or alcohol, as they are going to have the same effect. As you can see, the answer to “how to clean a ping pong paddle” isn’t as straight forward as you may have thought it would be. Make sure you use the steps and tips here to ensure no damage occurs. 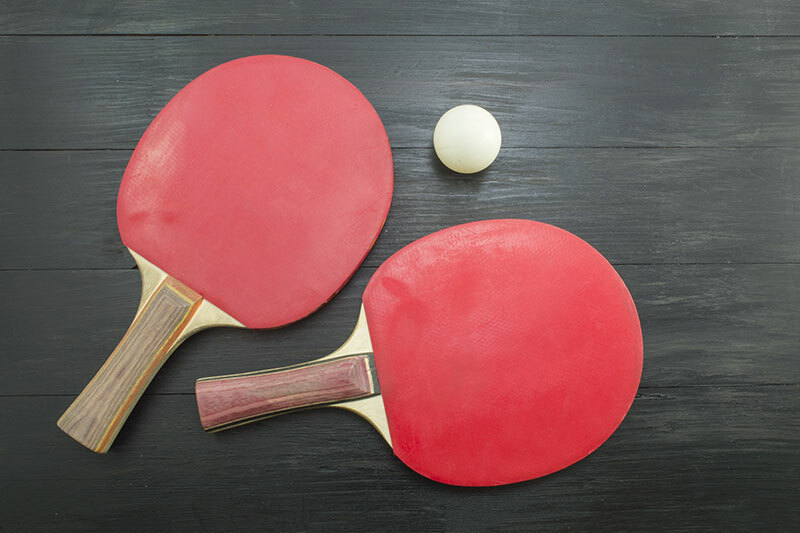 If you want to learn more about table tennis, then check out our blog. We offer all types of information on this activity, including how to learn the ultimate spin ping pong moves.